With a new fleet of 10 Boeing 787 Dreamliners, Hainan Airlines has opened direct routes to it's hub in Beijing from Boston, Chicago and Seattle where connections throughout China are possible. They also fly out of Los Angeles to Changsha. A fleet of A330 aircraft handles long to medium haul flights in Asia and Europe. In the United States Hainan has partnered with JetBlue to provide connections to the gateway city for its overseas flights. Beginning in April 2016 reward travel becomes easier on Hainan due to their new partnership with Alaska Airlines. Skytrax has given Hainan Airlines the coveted 5 star rating. 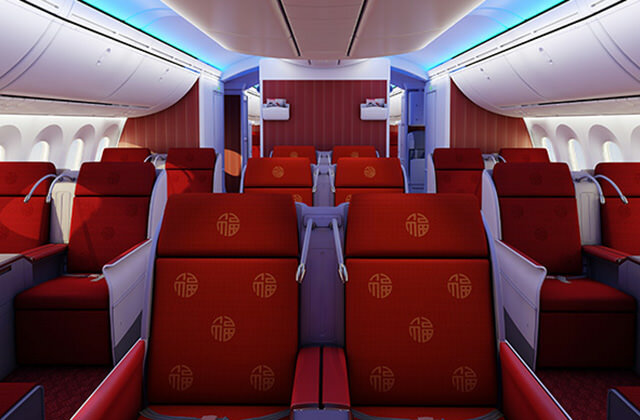 Business class is the top tier premium class on Hainan Airlines. The 787 aircraft have what appear to be the Zodiac Aura Lite business class seats in a 6 row 2x2x2 layout. These 180 degree lie flat seats as well as being a popular 787 catalogue product found on 15 airlines. 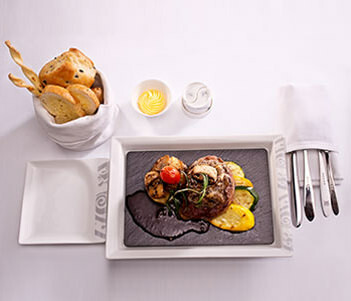 Both Chinese and Western style menus are available for business class dining. Exclusive service for business class passengers includes a turndown service where cabin attendants turn your seat into a bed with a mattress and silk quilt. You also get a lumbar pillow. Oriental teas are offered with seasonal tea selection. Amenity kits are also provided. Airbus A330. Both variants are in the fleet. Have you flown on Hainan Airlines? Share your experience with others in the comments section.